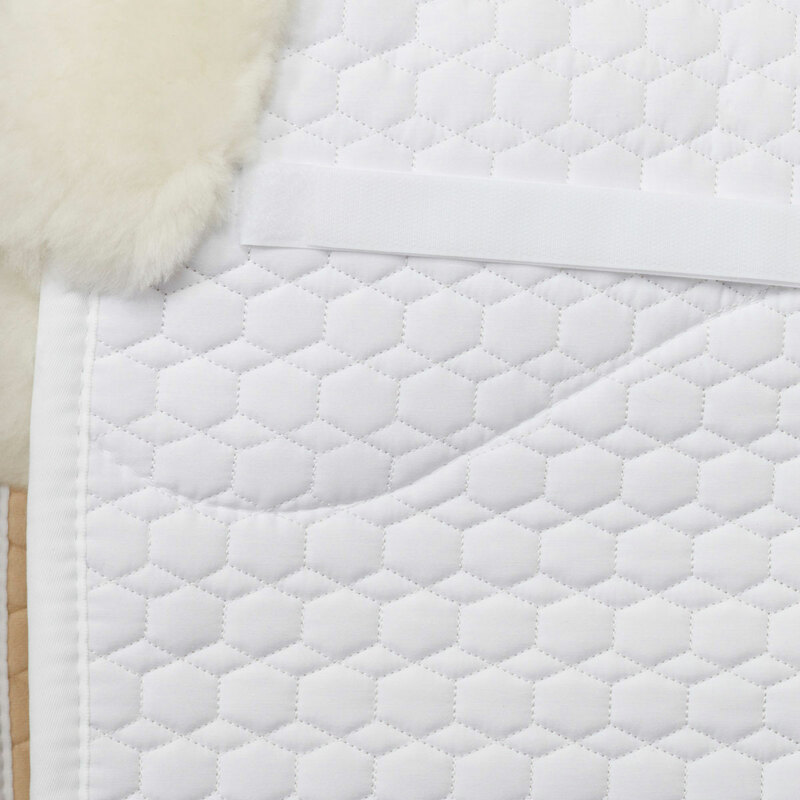 The Mattes Euro-Fit Pad offers the same benefits of the half pad - holding your saddle in place and providing cushioning and protection of your horse's back - but in a full pad. The Euro-Fit pattern offers a stylish line along the bottom edge of the pad. Please note: For custom colors, MATTES does not recommend a light quilt with a dark sheepskin as the sheepskin may bleed onto the quilt. Spine Measurement: Medium - 20.5", Large - 22.5"
Drop Measurement: Medium - 21", Large - 22"
Spine Measurement Medium - 20.5", Large - 22.5"
Drop Measurement Medium - 21", Large - 22"
Mattes Euro-Fit Pad- Dressage is rated 5.0 out of 5 by 9. Rated 5 out of 5 by Susan from What's Not to Like? Anything that costs this much and remains popular forever, has to have something going for it! It looks great, stays off the withers, and protects a sensitive back. What more do you want from a pad? 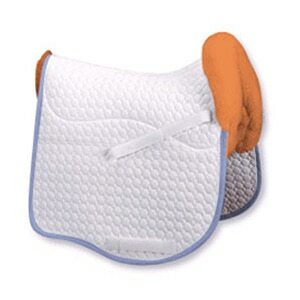 Rated 5 out of 5 by Bhorse from Great Pad The sadddle pad is a little pricey but it fits well, looks great and protects the horse's back really well. I continue to purchase them for all my horses. They last a long time as long as they are carefully washed regularly and air dried. Rated 5 out of 5 by Lusolady from Wonderful pads. 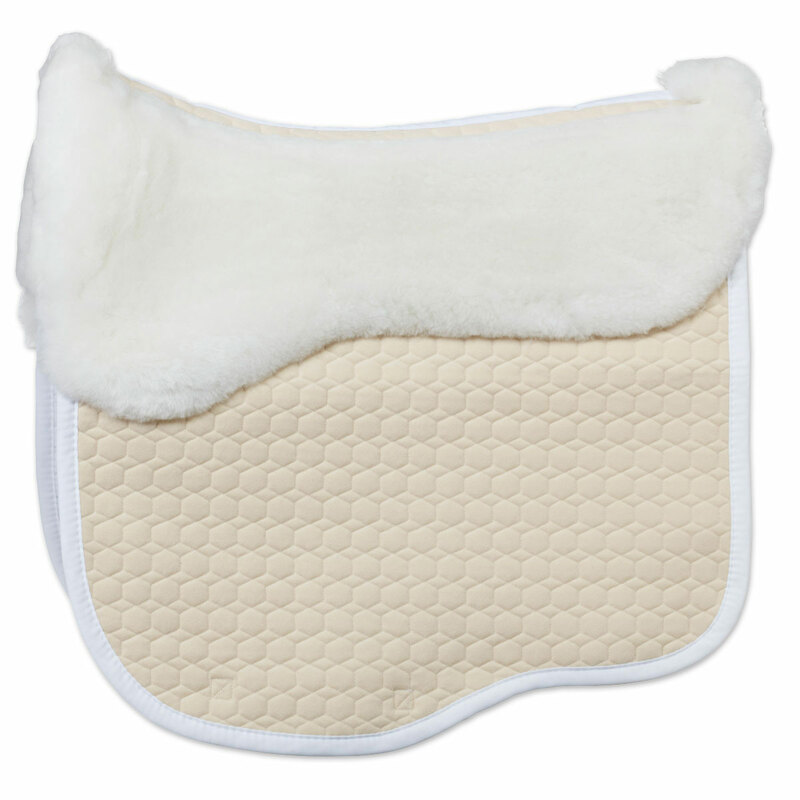 I now have two of these pads; one for show (pale yellow to match my palomino gelding) and a black one for everyday use. They wash beautifully, fit perfectly with no bunching up or wrinkling around the rib cage and show no wear at all. They're expensive but worth it! If they had made their pads with the shim pockets when I was looking I would have bought those instead as I do have to shim my saddle up in back a bit, but I've worked around that. I believe they are now making them with shim pockets and that is a nice addition. Rated 5 out of 5 by Lusolady from Best pad ever! 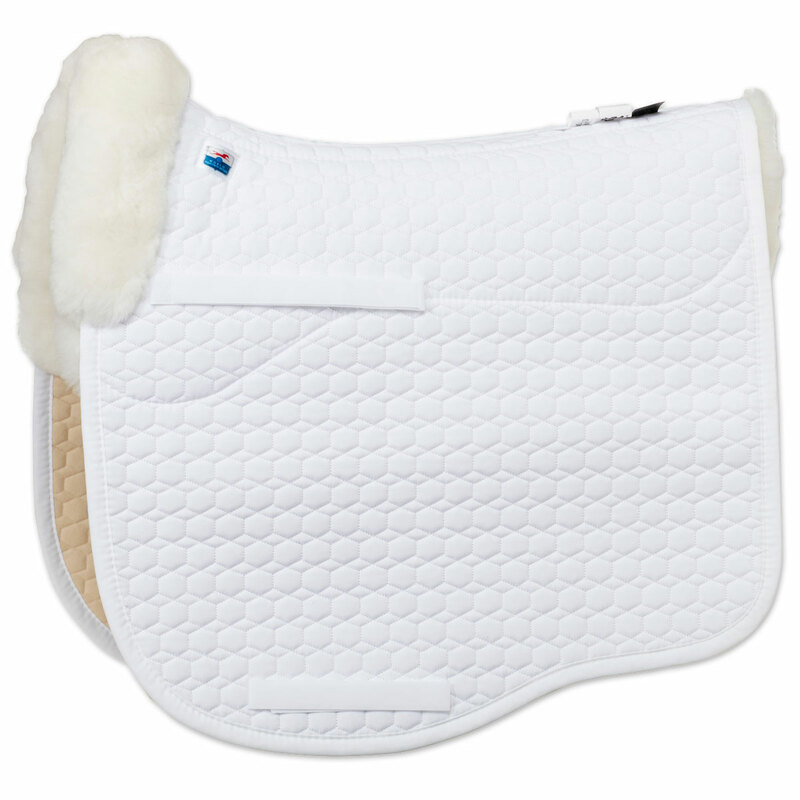 I love the cut of this saddle pad. It fits my very round barreled Lusitano perfectly. With the fleece built into the pad I don't have to fuss around with a separate fleece to go under a saddle pad. My saddle doesn't slip or move with this pad and they're easy to care for. I got the black for everyday riding so I don't have to deal with black saddle marks. I previously bought the champagne color for showing (my horse is a palomino).